Adrienne Johnson is a 16 year old who spent half of her childhood in Toledo, OH and the other half on a C&C 40 in La Salle, MI. 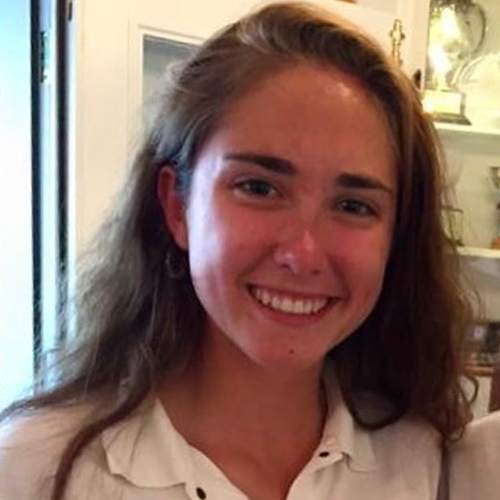 She began racing at age 12 in Optimists, but after a summer of racing optis and attending opti nationals, she sized out and started crewing in 420s. 420s weren’t appealing, so instead she switched to Laser Radials. Adrienne recently transferred from North Cape Yacht Club to Little Traverse Sailors in Harbor Springs, MI. There she has had the opportunity to crew on Farr 30s, J70s, J105s, Melges 32s, E33s, NMs, and Alerions, as well as the opportunity to race in several offshore races. She has also seized the opportunity to race in multiple summer series, and the inaugural Women’s Regatta in Harbor Springs, MI. She has high hopes of a future sailing career, but isn’t sure which aspect of the industry she would like to be part of. In her free time, Adrienne enjoys going to nature preserves, photography, and enjoying music.